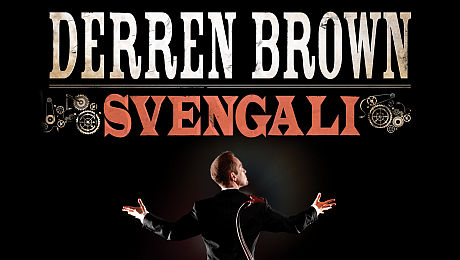 Last night (11/05/2011) I had the pleasure of going to see Derren Brown’s Svengali show at the Alexandra Theatre in Birmingham. Before I continue, I would like to say a big thanks to my wife for looking after our 6 week old boy for an entire day solo so I could do this, your fab and love you loads :). So in true Derren style he has requested no one spills the beans on the show and I certainly dont plan on doing that. I am a huge fan of Derren, and due to my interest in illusions, hypnosis manipulation I really enjoy watching the show and having my own opinion on how the routines are constructed. With Enigma I was confident on how a large majority of the routines function, but with Svengali Derren certainly pulled the rug from under me. Just as I thought I had identified what had occured and how a curve ball would come in. So not only did I enjoy the show, I learn alot at the same time (this is enjoyment for me) especially on Derren’s use of language, stage and partipant control. Derren is very comfortable on the stage and shows a good sense of humour. I am not going to pretend I feel like I know Derren, I have no doubt his stage persona is different from reality, in fact I am sure its a requirement as to influence and control needs a certain approach. I was in the 3rd row so really close and that was awesome, I do hope this show becomes available on DVD later when the tour is complete so I can recount some of the routines. If you a Derren fan you will love the show, it is different to Enigma some I liked, some perhaps I would have done different. If your not sure who Derren is, but like the idea of illusions, curious about hypnosis, mentalism and more you will have an entertaining evening. 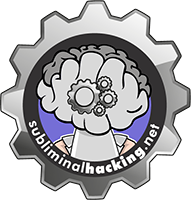 Now I really need to find more time to research and work on some new adaptions in an SE instance, and I am also giving some thought to sideline gigs purely in a mentalism performance scenario, and some course on all this awesome stuff. I think the tricks from Enigma were not nearly as good as some of the stuff he did on his ‘Something Wicked this way comes’ tour, since i thought (except of the spirit cabinet stuff which i don’t get) it was pretty easy to see through, especially the last trick.. you know.. goose and moose..
how is it with svengali? I haven’t seen it yet – also because i was thinking it may be more focused on like card tricks, as the name suggests than on the mind tricks i like most about derrens work. i certainly would not want to watch a show about card tricks if there wasn’t any good mind reading stuff wrapped around it. So would you say it is mostly about obviously slight of hand tricks or is there also a good portion of (maybe seemingly) mind reading / controlling stuff going on? Svengali is certainly not a card trick extravaganza at all, in fact I dont think cards are used at all. Derren’s performance and style has changed from Something Wicked This Way Comes, so I dont think its appropriate to make a direct comparisson. If you were not a huge fan of Enigma, perhaps you wont be a fan of Svengali. However I think if you have an appreciation for mentalism, and the style Derren presents it, you will be entertained. I have tonight just returned from the Svengali show. I can asuure you there are no cards involved. Derren has done a magnificent performance as per. It doesn’t top ENIGMA, the finale to that was amazing, but none the less, he is mazing, and as a hypnotist/nlp practitioner, I only saw this slightly in this show, There was a point where the “doll” predicted what was in this persons pocket, and Derren was not even being able to see the person in question because he was up the top circle, yet the “doll” told exactly what the object was ( lucky stone) and the doll also wrote out who it was from, an unusual name! I have given up on trying to figure out how Derren does it, I belive he has no stooges, but as a fellow mentalist will always watch him closely and try to figure him out (it will never happen!) but adore him deeply as a great mentalist and a great showman, and above all, a great down to earth person!